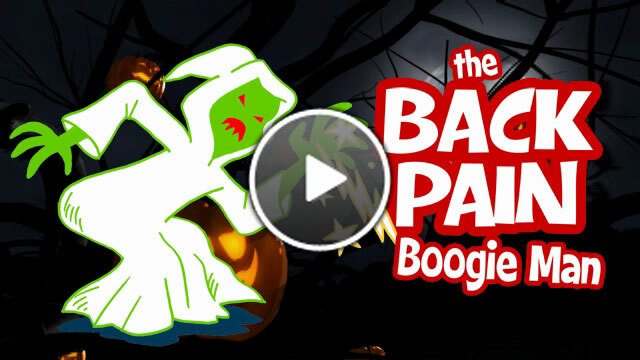 October is a spooky month and this month's video is on a spooky problem - back pain (we'll call it the Back Pain Boogie Man). 1. Do you know how bad the problem really is? 2. In which instances can PT help? 3. What can you do to decrease your odds of experience back pain? Back pain is no laughing matter. You don't want to miss this video - it's an excellent reminder of why physical therapy is a great first choice. Remember, if you or someone you know, has lower back pain, think physical therapy. New HIPAA guidelines prohibit us from exchanging Private Health Information with e-mail. E-mail is not secure. Please do not respond to this e-mail with any questions concerning your medical condition, billing, or any other information that you may not want someone other than us to read. Just give us a call (516) 681-8070. Nothing contained herein shall constitute medical advice. Please consult your medical professional for proper treatment.